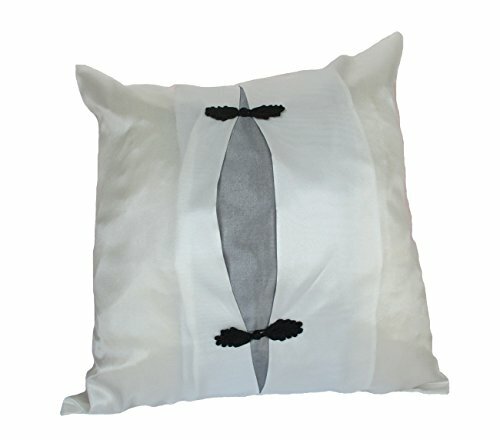 RaanPahMuang Thai Silk Pillow Case 16x16'' Middle Black Latch Set of 3, White by RaanPahMuang at Thai City Deals. MPN: item619540AMZ. Hurry! Limited time offer. Offer valid only while supplies last.